Apparently "Don't Mess with Texas" is slogan registered by the The Texas Department of Transportation for use in their anti-littering campaign. 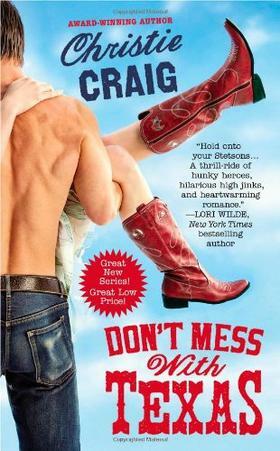 So they go very hot under the collar when Hatchette released a Christie Craig romance under the same name, and decided to sue. They named not only the publisher but also the author and Barnes and Noble. They seemed particularly shocked the the book contained S. E. X. The judge, Sam Sparks, decided that trademarks don't apply to book titles and the release will be going ahead as planned.